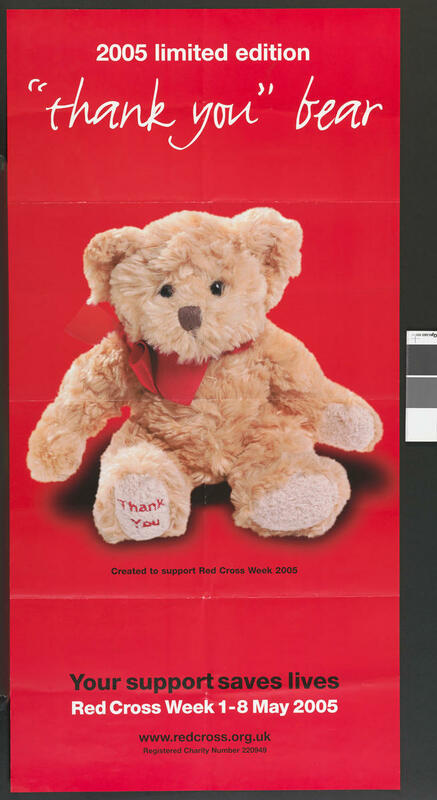 Large poster, illustrating a soft toy produced as part of Red Cross Week 2005 campaign. Large poster, illustrating the 'thank you' bear. 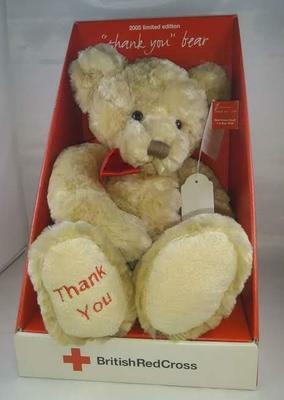 A soft toy produced as part of the Red Cross Week 2005 campaign.